I have a tiny Bay Area apartment kitchen with only one drawer! Luckily, I have a hutch in the other room for flatware and things like that, but there's a limit to the number of kitchen tools I can hang over the sink. 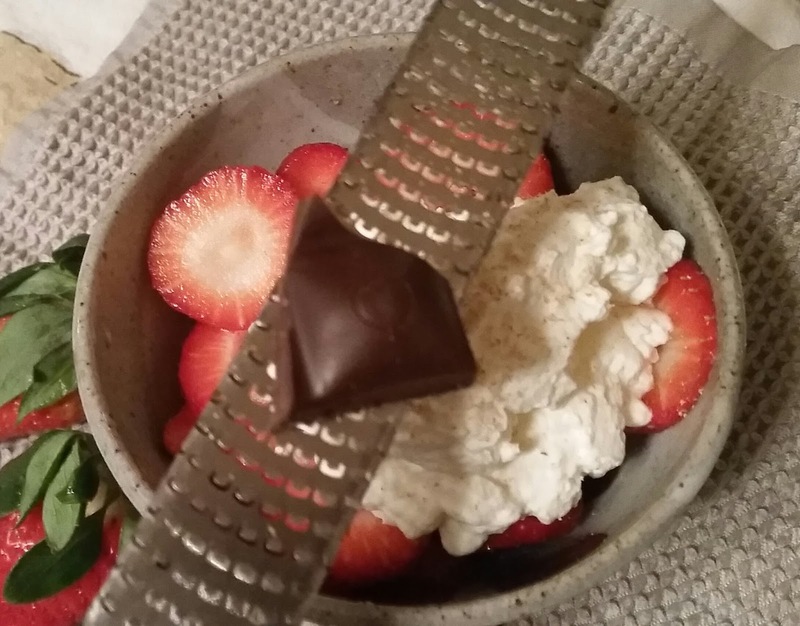 The Microplane grater gets a primo spot up there because it's such a multitasker! 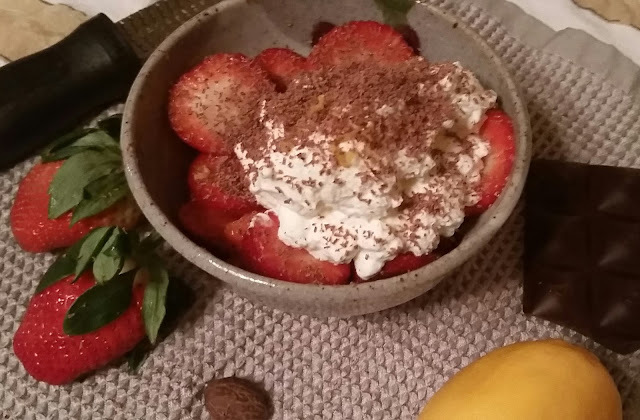 There are three grated items on this lovely bowl of strawberries and cream...#1, #2, and #7. 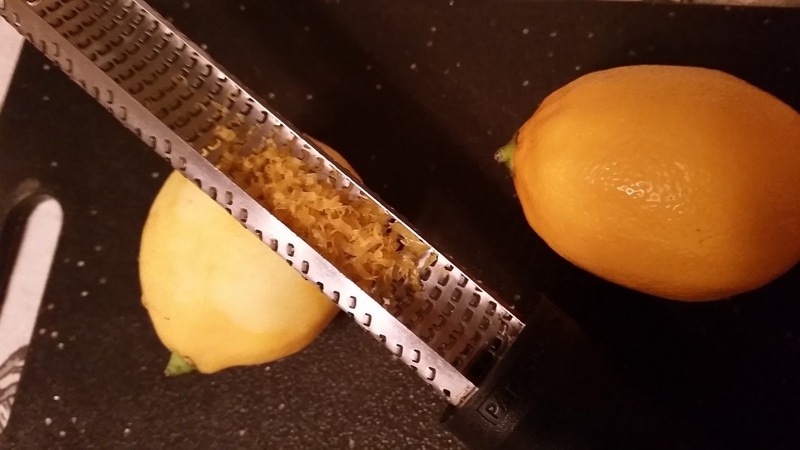 One of the most popular uses for this tool is zesting lemons, limes and other citrus for recipes. When you do this, though, it's important to hold the Microplane on top of the fruit so you can see when you're starting to hit the white pith and stop before it gets into your food. My favorite uses: grated into sauces and batters or onto salads. 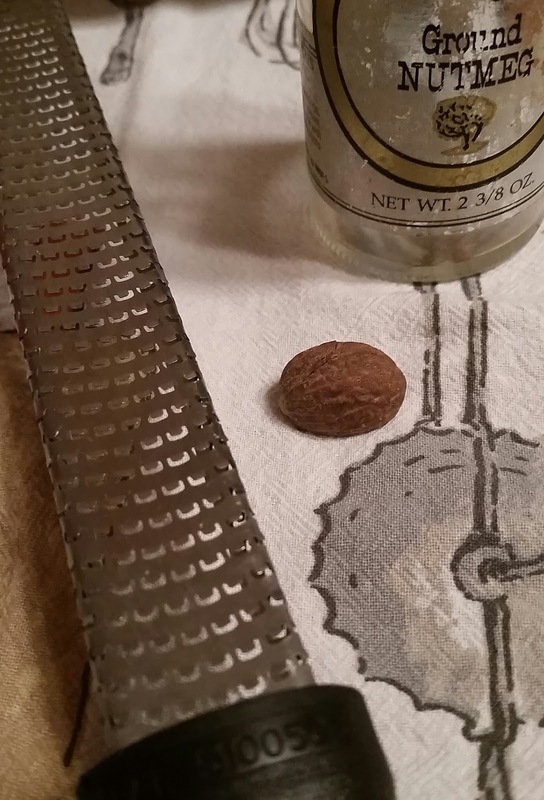 Many people only use ground nutmeg or have a special tool for grating only that. Ground nutmeg loses its flavor punch after a year or so in the cabinet, though, and my kitchen has little room for a unitasker like a nutmeg grater! This funky old bottle used to be refilled with ground nutmeg every couple of years, but now it houses whole nutmeg. Uses: pumpkin recipes, smoothies, on top of coffee, bechamel sauce. If you want garlic very finely minced, you can peel a whole clove and grate it into your bowl or pan. It's best to use large cloves for this so you don't hurt your fingers! 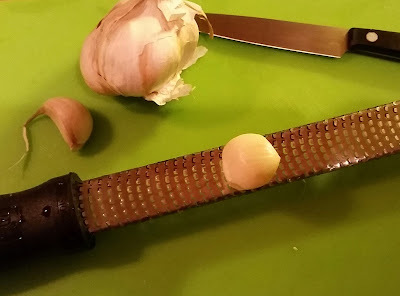 Peel the garlic clove by cutting off the flatter bottom and taking off the papery outer layer. Grate on the Microplane until what's left is almost uncomfortably small, then stop before you scrape your fingers. 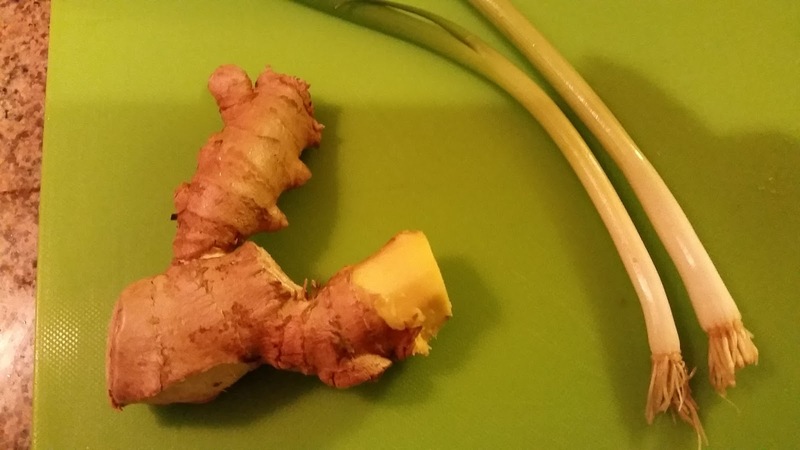 Throw what's left of the clove into a zipper bag in the freezer with other kitchen scraps and use it for broth. Grating an onion can save you a lot of sautéing time. It breaks down the structure of the onion so it cooks very quickly. I often do this when I'm in a rush to make dinner. If you're making a big recipe, it might be more convenient to use a grater with larger holes. I also have a Zyliss grater, you know, the cute little white one with the turning handle. It looks great at the table, but that thing can be hard to clean. Usually, I just use the Microplane even if I'm grating a cup or more of cheese for a recipe. Peel the end of a piece of ginger root and use the rest of the piece as a handle. Grate onto a cutting board to measure the ginger, or right into a pan if you're winging it. This ginger went into some brown rice congee with those scallions and some garlic. Rather than dirty a bowl and a spatula melting your favorite dark chocolate, grate a little over some coffee, cake, or whipped cream to make it even more scrummy.